Production planning & control are the most important processes of manufacturing industry. We developed a custom automated reporting system with the primary aim to replace the existing manual Excel-based reporting used for daily production goal planning. The solution was also used to track and measure production against the set goal ensuring an optimum utilization of plant capability and resources. The manufacturing dashboard was integrated in the back-end with Dynamics GP helping to track and visualize inventory across various departments. Want to Automate your Reporting System?Get in touch with us! For any manufacturing industry, production is the primary driving force to which most other functions react. With the changing business environment in Flexible Intermediate Bulk Container (FIBC) manufacturing, decision-makers are investing in developing software & Management Information System (MIS) dashboards to establish effective production planning process and control methods. MIS for manufacturing industry helps to forecast the uncertainties in internal processes and external deliveries. Our client wanted to streamline their production planning process with the sales order process to manufacture goods on time and achieve profitability. The client also required a fully automated production reporting system with the primary aim to replace the current manual Excel-based reporting used for daily production goal planning. The system was also used to track and measure production, recovery process against the set goal ensuring an optimum utilization of production capability and resources. The reporting dashboard solution needed to be intuitive, responsive in nature and be accessible seamlessly from the web. FIBC manufacturers receive the majority of orders from its field sales officers, which usually have very short delivery deadlines. 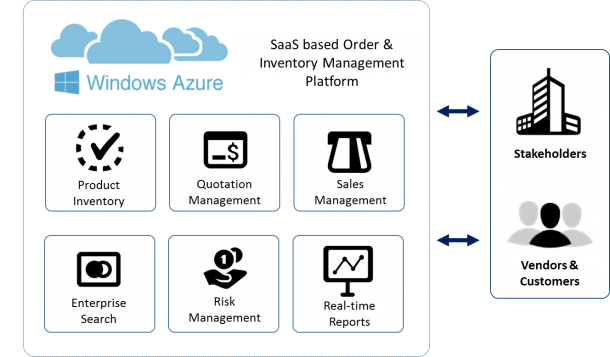 Rishabh Software’s team used custom .NET development for developing a ASP.NET MVC manufacturing reporting system along with integration to existing Microsoft Dynamics GP 2010 database. The development focus was emphasized on streamlining the complete production & recovery lifecycle starting from item collection from customer locations to final product recovery. The team initially streamlined the manual data entry process by building an equivalent data entry interfaces to input the daily item collections, product recovery, daily production work orders and daily production goal information. 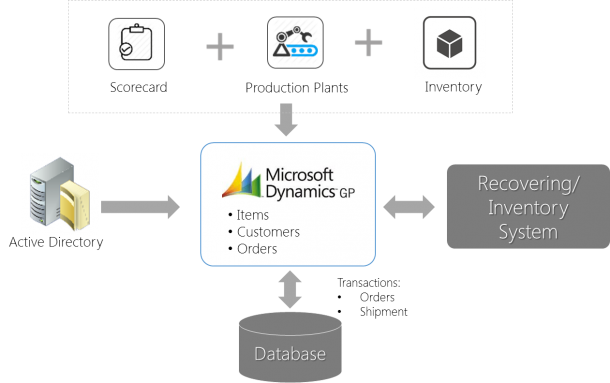 To minimize the duplicate data entry between Dynamics GP and the reporting system, Rishabh proposed to retrieve all key records directly from Dynamics GP database. As a final release, custom reporting engine component was built to generate varied production performance at real-time based on key KPI and metrics with provision to export report data into Excel, PDF and share via email. Rishabh Software as a custom enterprise software development company has build manufacturing dashboards like manufacturing process to achieve efficiency in production. The solution was built in a planned phase manner, starting with a “Proof of Concept” to test and validate user acceptance of the proposed concept to developing the final custom solution. US based Flexible Intermediate Bulk Container (FIBC) manufacturer, operating globally.